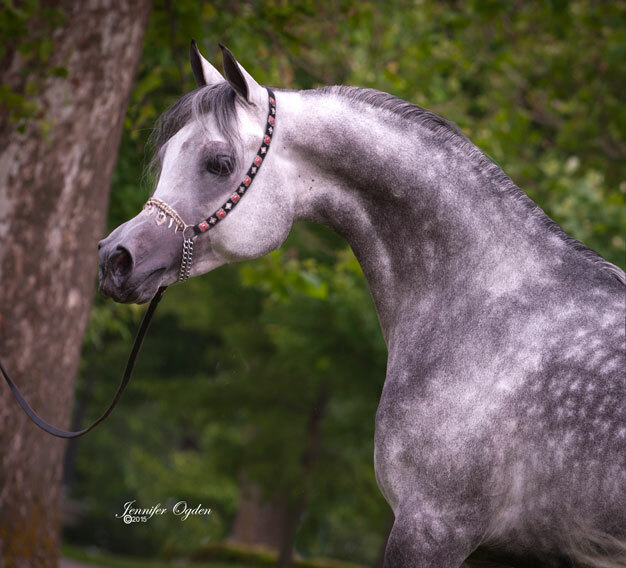 Qadar Ja’Zil is an exceptional stallion who according to International Equine Consultant Liz Salmon Is “A top quality, very typey stallion with large eyes and outstanding movement. Qadar Ja’Zil has an excellent pedigree and show record with great scores”. 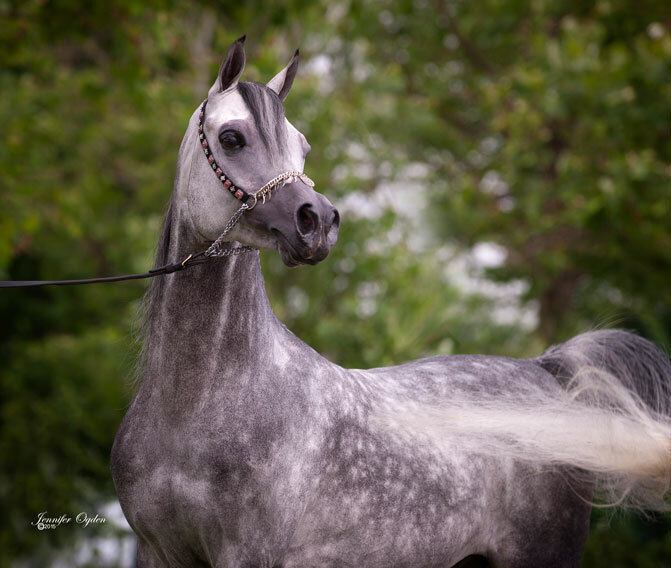 With limited show experience, Qadar Ja’Zil was shown to Reserve Senior Champion stallion at the 2013 Egyptian Breeders Classic. At the 2009 Egyptian Event he was also Top Five Yearling futurity colt, and Top Ten (7th) World Class one year old colt (out of 20 shown). The following is pedigree research on Qadar Ja’Zil by Brandye Smith of Hopes & Dreams. 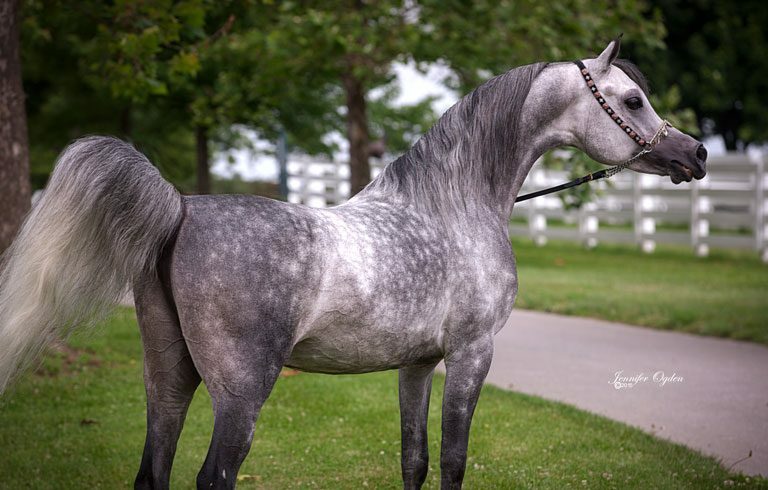 “Ja’zil is sired by Qadar Al Jalil, a direct son of Richter MH who is both a Canadian and US National Top Ten futurity colt (out of 17 entries and 28 entries). 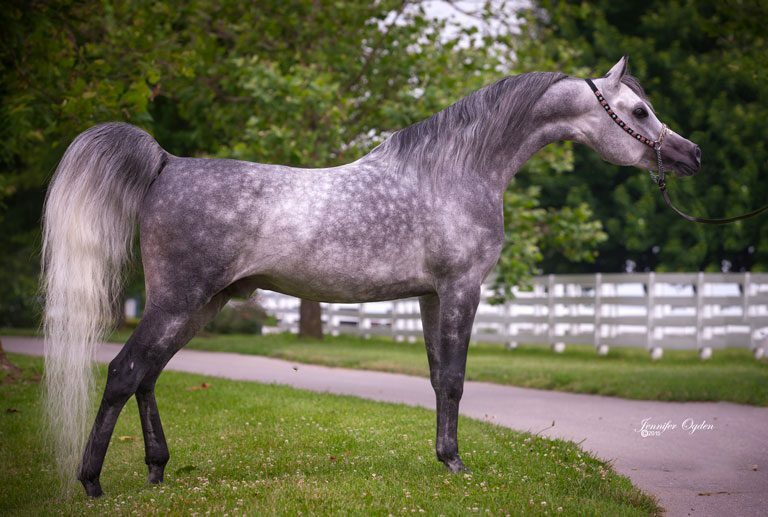 He is the sire of Richteous and Shaamis Amira, dam of Champion mares TF Shahraaz and TF Delfinia who have won in both the USA and Europe. 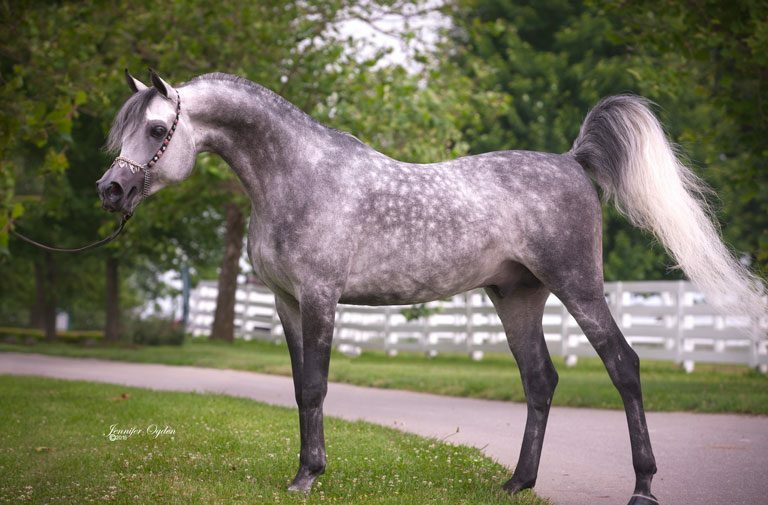 Qadar Al Jalil’s dam, Maarsefra MH is also the dam of Egyptian Event Top Five and Top Ten mare Qadar Tehani. 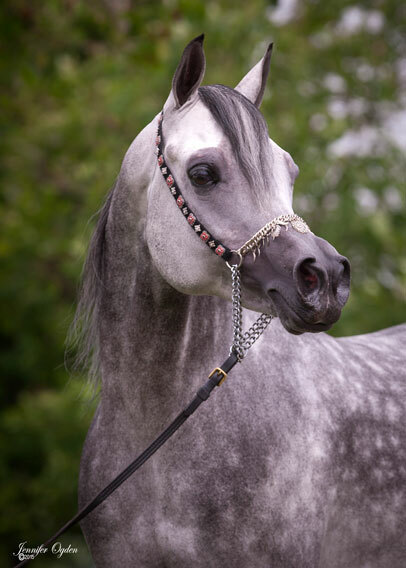 Maarsefra MH is sired by Prince Ibn Shaikh, a US and Canadian Top Ten stallion, making her a paternal half-sister to Rames Effendi (dam of Ramses Minx, US Egyptian Event Supreme Champion mare & European Egyptian Event Reserve Champion mare).